For knocking on 15 years now The Croshaw Family, led by brother and sister Emma and Marty, having been playing together and perfecting their sound through a shared love of close harmony singing and old-time string band and jug band music, bluegrass, country, gospel, Hawaiian lap steel and Irish fiddle tunes and pretty much anything else that grabs their fancy! They have shared stages with Alasdair Roberts, The Duke and The King and Rosanne Cash. 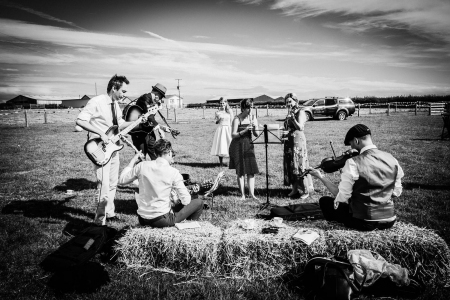 Currently numbering 8 members, their live shows are always entertainingly eclectic – moving lickity-split from a mournful murder ballad to a bluegrass knees-up to a Gospel sing-a-long. This will be their first show at The Slaughtered Lamb with Folk and Roots.